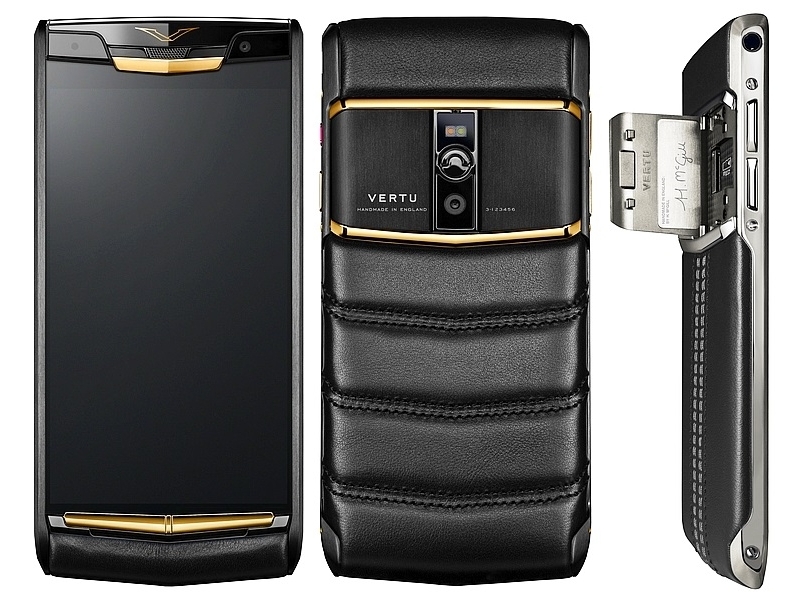 Vertu, a premium smartphone brand, has launched its Signature Touch smartphone priced starting GBP 6,500 up to GBP 13,700 (approximately Rs. 6.5 lakhs to Rs. 13.8 lakhs), depending on the choice of leather body cover. The handset is an upgrade over the existing Signature model. It will be up for pre-orders in company’s select outlets between September 28 and October 8. 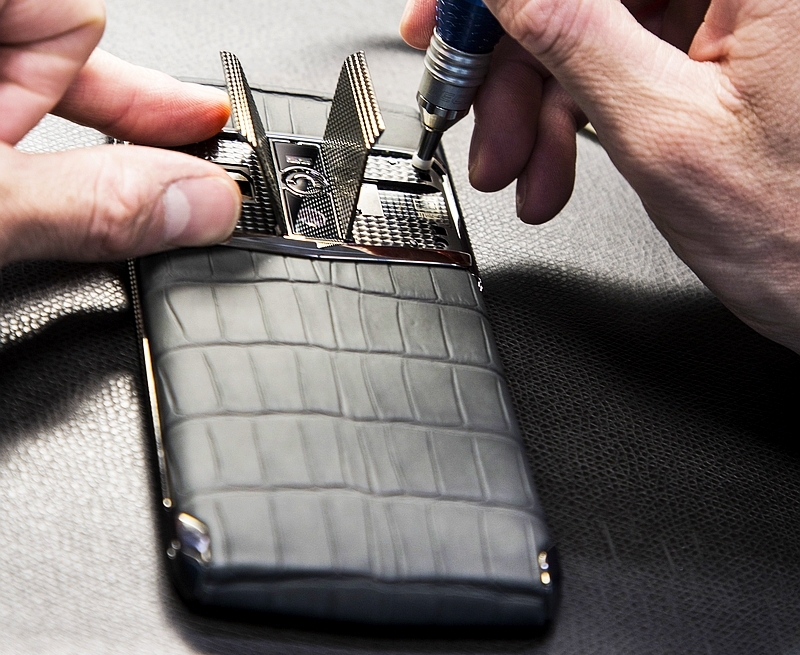 The new Signature Touch smartphone comes in eight different leather body variants – Jet Calf, Garnet Calf, Grape Lizard, Pure Jet Lizard, Jet Alligator, Pure Navy Alligator, Clous de Paris Alligator, and Pure Jet Red Gold, each of which can be personalised with engraving. One of the highlights of the Vertu Signature Touch is the metal Gull-Wing doors (seen below) placed on each side of the rear camera. While one side features a microSD card slot, other side includes a SIM card slot. Besides sporting a premium look and build, the device also packs high-end specifications on the inside. Vertu Signature Touch runs on Android 5.1 Lollipop out-of-the-box and features a 5.2-inch full-HD (1080×1920 pixels) resolution display covered with phosphor LED powered LCD and protected by 5th-Gen Sapphire Crystal screen. The pixel density of the display is 428ppi. The premium smartphone is powered by a 64-bit octa-core Qualcomm Snapdragon 810 processor, clubbed with 4GB of RAM and Adreno 430 GPU.It houses a 21-megapixel PDAF (Phase Detection Auto Focus) rear camera with f/2.2 aperture and dual-tone LED flash, and a 2.1-megapixel Skype compliant front-facing camera. The rear camera is capable of recording 4K resolution videos as well. As for storage, the Vertu Signature Touch equips 64GB of inbuilt storage that can be expanded via a microSD card (up to 2TB). The handset is backed by a 3160mAh Li-ion battery, and features the Qualcomm QuickCharge 2.0 functionality. It also supports Qi Compatible Wireless Charging. The new Signature Touch additionally supports both Indian 4G LTE bands (2300Mhz and 1800Mhz) alongside NFC, Bluetooth 4.0, Wi-Fi 802.11 a/b/g/n/ac, Wi-Fi Hotspot, GPS, and Micro-USB connectivity. The front-facing stereo speakers come powered by Dolby Digital Plus. It measures 155x74x10.8mm and weighs between 225 grams to 236 grams.